Shaker wins a 2nd Best Puppy in Show!!! 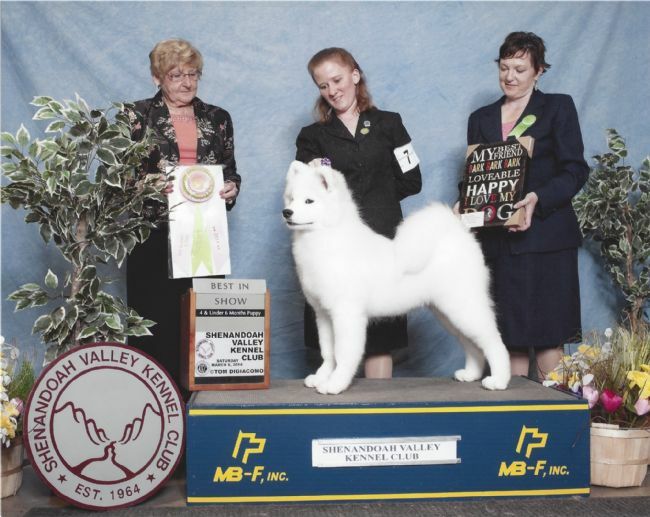 White Magic's Shake Your Groove Thing "Shaker" wins his 2nd Best Puppy in Show at 5 months old on March 8, 2014 in Harrisonburg, VA! "Shaker" is a Mufasa x Hollis puppy!